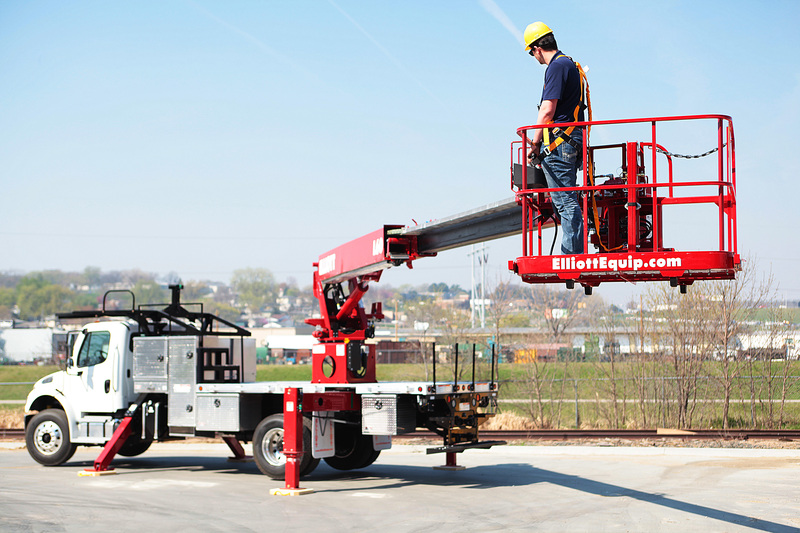 Aerial work platform inspections might not be exciting, but these routine tasks collect critical information that helps operators, mechanics and fleet managers keep equipment in service and ensure jobs are completed safely. Daily, weekly, monthly and annual inspections act together to ensure all components of an aerial work platform are in working order while also providing peace of mind to owners whose businesses depend on these important assets. Among the criteria set for aerial work platforms by the American National Standards Institute (ANSI) is the mandatory annual inspection of these units. Only experienced mechanics can perform these wide-ranging inspections, which cover structural components such as outriggers, booms, turrets and substructures as well as safety items like decal legibility and placement. Authorized equipment distributors often provide inspection services. Annual inspection records must be retained for five years. If you’re considering purchasing an aerial work platform, it’s wise to also research the unit’s annual inspection history. Be sure to consider the safe storage of inspection records. In the event of an accident, authorities including the Occupational Safety and Health Administration (OSHA) will seek these inspection records and may levy penalties if the records cannot be located. For additional safety tips and more information on ANSI standards affecting aerial work platforms, refer to this OSHA A92.2 fact sheet. Aerial work platform manufacturers typically provide logbooks for daily, weekly and monthly inspections. Daily logs cover items such as engine and hydraulic oil levels, parking brakes, lights, safety features, boom and turret function and platform controls. Weekly logs assess items like battery function, winch brake operation and pump, PTO and driveline function. Monthly logs include assessing cylinders and valves, checking the machine’s welds and pins, placement of control, safety and capacity placards and assessing boom wear pad fasteners and rollers. The logs also include space for mechanics to document problems, prescribe solutions and record repairs. An advantage to keeping diligent daily, weekly and monthly logs is that the logs make for a great reference tool during the preparation for and completion of a required annual inspection. Constant logging allows operators to become more familiar with the safe operation and maintenance of their equipment. Routine daily and weekly checks of equipment lets mechanics “see around corners” by identifying possible problems before they become serious issues. Identifying and promptly resolving issues based on periodic log entries increases the probability that equipment will sail through annual inspections with no trouble. This process is not only required by ANSI, but also helps to minimize risks inherent in aerial lift operation. Making inspections a routine part of your fleet maintenance program is critical to keeping aerial work platforms in productive service, limiting repair and replacement costs and reducing the risk of failures that can cause serious property damage or personal injury. Don’t put your assets or workers at risk. Take the time to perform these critical inspections.